Getting it touch with us is the best way to get a relocation project of any scale and nature tackled on the territory of the district of White City. We know how to approach each and every job we have been hired to do with professionalism and care, offering our clients the most satisfactory results for the value of their money. Through much hard work and dedication for the past several years since we have established our company, we have managed to become the leading professional removal White City based and operating contractor. We are proud of the reputation we have built for ourselves and are going to do everything that it takes in order to live up to it. 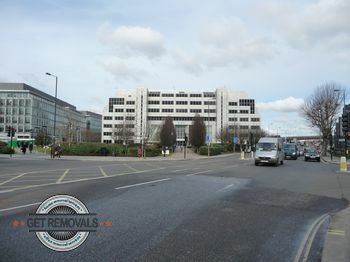 Domestic and commercial removals in White City that can be easily arranged for seven days a week. Single item pickup and delivery, including furniture, art and decoration moves. Packing and unpacking, rubbish disposal and storage services to further ensure our clients comfort and peace of mind. Getting your property moved by our licensed and fully insured technicians is the wisest thing to do during the turbulent time of transition relocation is. Our services are going to save you time, money and a lot of stress and strain. Thanks to the specialized tools and equipment, we employ, as well as our huge fleet of modern vans and trucks, we will be able to complete your project in a quick and stress-free manner, while you concentrate on other matters you currently have to get managed. In order to take the most of our removal services in White City, get in touch with our around the clock customer support. The polite experts working at our call center will enable you to get an individual plan for your project tailored, so that every need of yours is covered. What is more they will provide you with a free quote so that you can properly consider your budget in advance. White City, bearing the W12 postcode, is among the most iconic places in the borough of Hammersmith and Fulham. It is popular for several reasons. On one hand BBC White City and BBC Television Centre are located here. The Loftus Road Stadium is definitely the best known sports venue in these parts of London, and is naturally also located in White City. The local Queens Park Rangers F.C. has many devoted fans from all over London, and England as a whole. There are several regeneration projects being planned or already underway in White City. These include improvements in the transport infrastructure, as well as campaigns for listing historical buildings in the area (including parts of the BBC Television Centre) by the English Heritage and many more. The only result from all these actions would be that White City is going to become an even more attractive area for visitors, potential residents and business owners.